Future kings Prince William and Prince Charles reportedly wanted nothing to do with Trump's visit to England last week, the UK's The Sunday Times reports. 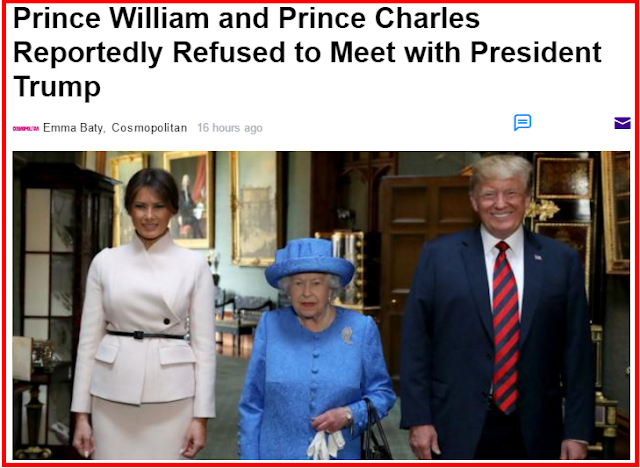 They were both "unwilling" to meet with him, so Queen Elizabeth had to do it by herself. Instead, Prince William, second in line for the throne, chose to play in a charity polo match while Prince Charles, first in line for the throne, went to an event honoring the police, so Queen Elizabeth had to ride solo. The visit wasn't technically a formal state visit, so the rules were different, but apparently the queen had as little interaction with the Trumps as possible.